According to a research done by TechSci, India’s Solar Rooftop Market is all set to stride at a percentage of 60 till 2021. The report published by TechSci read – "India Solar Rooftop Market - By State, By Connectivity, By End User, Competition Forecast & Opportunities, 2011 - 2021". Solar Rooftop market in India in its initial phase has begun to display signs of a high potential in the near future. The market is estimated to grow at a very high speed over the next half decade that is also completely supported and backed by the Indian government. It is known that the government of India has already announced a number of policies and rules namely the Accelerated Depreciation, Capital Subsidies, Renewable Energy Certificates (RECs), Net Metering Incentives, Assured Power Purchase Agreement, etc.. 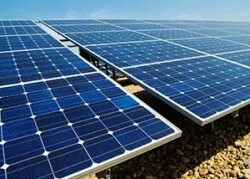 The very large amount of capital expenditure is expected to be reduced during the build-up of a solar power plant. Currently, the total solar power capacity in India is about 750 GW which is already twice the amount of installed power capacity according to reports by Indian Census and India’s Wasteland Atlas of the year 2011. Increasing government initiatives along with a supportive policy environment to constantly produce solar rooftop market will give India a very big advantage in the energy production and marketing sector.